Studies show that 40 million people avoid visiting the dentist because they’re simply too anxious. That means they’re far more likely to develop gum disease and suffer tooth loss. At Sunny Smiles Dentistry, Dr. Sandaldeep Singh offers advanced sedation dentistry to keep you comfortable throughout your treatment, whether you’re having a complex procedure or a routine cleaning. If you live in or near Gilroy, California, don’t put your oral health at risk. Call Dr. Singh’s office or use his online scheduling system to make an appointment today. Sedation dentistry uses medications to help you relax and stay comfortable during your treatment, helping even the most nervous patient overcome their anxiety about seeing the dentist. Oral sedatives are available depending on your needs. Sedation is combined with local anesthetics to numb your gums and teeth during procedures so you stay pain-free. Most people think sedation dentistry is only used for more complex treatments like oral surgery or wisdom tooth extraction. But actually, sedation can be used for any type of office visit or treatment, including routine checkups and cleanings. Many patients find the sights, smells, and sounds of a dentist office unpleasant, usually because of a past bad experience they’ve had during a dental treatment. Even routine visits and cleanings can be traumatic. Mild sedation is very helpful in relieving anxieties so you can get the important preventive care you need for better oral health. For complex and lengthy dental procedures deeper levels of sedation can help you stay relaxed and comfortable without causing unconsciousness. How will I feel during and after my procedure? The sedation methods we use help you feel very relaxed and calm, and you’ll also feel quite groggy. With deeper levels of sedation, many patients doze on and off during their treatment. Dr. Singh is experienced in adjusting sedation to the specific needs of the patient, and no matter what type of sedation you receive, you’ll still be able to respond to commands like “open wider” or “rinse,” although with deeper sedation, you may remember little to nothing of your procedure once it’s done. Afterwards you’ll still be groggy and you’ll need someone to drive you home. Although the sedation we use “wears off” quickly, most patients spend the rest of the day relaxing and napping. Absolutely. 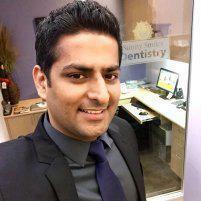 Dr. Singh has substantial experience in sedation techniques that are safe and effective. Plus, you’ll be closely monitored throughout your treatment so you can feel confident about your care, from start to finish.